Video poker can be played for free or for real money, whichever you prefer. The game is simple to understand and easy to follow but unlike slot machines it does have a few strategies which can be followed in order to win video poker games. Knowing the video poker bets helps a lot in winning. Due to that, this game attracts quite a lot of players who are trying to earn some money online. 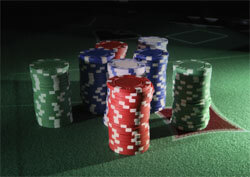 When it comes to video poker, having a determined bankroll is very important. Not many players understand the importance of a bankroll in video poker and that can be a fatal mistake. Another question to be answered is the number of coins which should be played on video poker. It is not wise to always play the maximum coins in video poker since all games are different. If you are playing video strip poker, the betting rules are different. Every video poker game has a pay schedule and for most games the payoff for the royal flush is higher than everything else. However, there is a difference in the payoff when you play the maximum coins and when you play a single coin. For this reason most people suggest playing full coins in video poker. If you do get a royal flush and if you have just bet one coin then it would be disappointing. However, most video poker games have negative expectations, so you can play Deuces Wild at WilliamHill Online Casino instead. The chances of hitting a royal flush in any session are very low. If you do play with a single coin, you would be able to save more money in a session than if you play with maximum coins. The decision that you should make should be based upon what you want from the game. If you goal is to win more, then you should try and play the maximum coins in order to get a chance to win more money if you do get a royal flush. However, if you just want to play for a longer time then you should try and save money by playing single coins or choose other types of slots, like bonus slots. In any type of gambling game, bankroll management is essential. It is important to plan out your bankroll well in advance and then be disciplined and stick to it. Video poker is a very volatile game and with a game like this it is important to consider bankroll management techniques. Do not ever go overboard with video poker and never borrow money to play. Set limits for yourself for wins and losses for every session. Do not deposit any more money in the game once you have reached your loss limits. However, you would need to stick with these rules once you have set them. Even if you manage to win 20% on your bankroll then it is quite a good achievement. Even if you hit a good hand and managed to increase your bankroll, it is worth it. If you plan well, then bankroll management is not really difficult and it has its own benefits in the long term as it would increase your profits.